AZ PIANO REVIEWS: DIGITAL PIANO KEY ACTIONS REPORT - Which are BEST? DIGITAL PIANO KEY ACTIONS REPORT - Which are BEST? July 15, 2018 - Digital Piano key actions - graded hammer weighted, weighted, semi-weighted, and unweighted - What's the difference and which key actions are best?! Roland, Yamaha, Kawai, Casio, Kurzweil, Korg, and more. Question?...can digital pianos exactly duplicate acoustic piano upright & grand key actions in touch, movement, response, and overall playability? The simple answer is no, unless a digital piano has an actual identical organic acoustic piano wooden-key key action with all the connecting key action parts with a hammer hitting with an actual piano string. Anything short of that would be a best, a simulation with some digital pianos manufacturers doing a much better job of that than others. I don't care what the digital manufacturer tells you about how accurate and perfect their piano key actions are, they are not exactly the same as a real acoustic piano...so don't expect it to be. * If digital and acoustic key actions were the same (including the sound realism & reproduction), then there would be little need for acoustic pianos. Duplicating a full & complete realistic acoustic grand piano sound/tone in digital pianos is also a big issue and that has not completely happened yet due to limitations in current technology including cost, and I will deal with that issue in a future blog. *A few Yamaha digital pianos in their AvantGrand "N series" (starting at about $5000) are using acoustic piano key actions derived or modified from their Yamaha acoustic pianos, but there are no actual strings inside the piano. When it comes to playing piano, there is nothing more important than the piano key action. It is the heart of any piano including both acoustics and digitals. Good, responsive graded hammer weighted key actions give people an organic connection to the song they play and to the instrument...in other words...the feel, movement, response, and interpretation of the song that is being played based on piano touch and key movement. Without a realistic, quality key action in a piano, nothing else really matters in my opinion. It would be like a transmission in a car...if it doesn't operate smoothly and correctly and built to last, it doesn't matter how good the engine or your multi-speaker stereo system is in that vehicle because without a good transmission, the other stuff really doesn't matter:). The same is true for the piano. Piano key actions is a complex subject and not necessarily easy to understand but I am here to educate you in easy to understand language that hopefully will help you make the right buying decision. 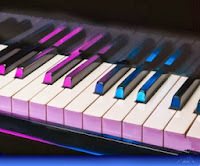 In a digital piano, with the exception of only a few models that have actual or modified acoustic piano key actions in them, all of the key actions in digital pianos use plastic, metal, and/or wood (in the keys themselves), or a combination, depending on the brand and model. 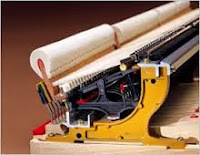 Also, all of the connecting parts in a real acoustic piano including the felt hammers moving and striking a string are absent from a "typical" digital piano because there aren't any strings in digital pianos so there is no need for those parts in most cases, except for a few models of digital pianos in higher price ranges that have most or all of the acoustic type action parts, but don't have the strings and instead use a digital sound sensing technology. 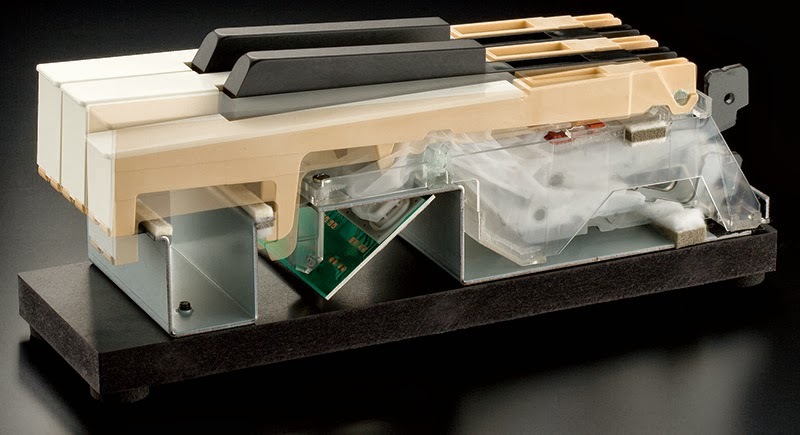 In place of acoustic piano strings there are digital key contacts or optical sensors in digital pianos that trigger the digital sound (stored in a computer chip) to be heard through speakers inside the digital piano. The Yamaha "N" series AvantGrand digital pianos are good examples of this (as I mentioned earlier) with full acoustic key actions but generating sound through digital electronics as the hammer mechanism triggers the electronic sound senors. 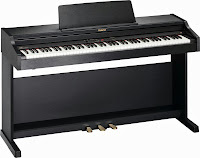 The key action movement and feeling of the keys in the AvantGrand series are excellent but those pianos are quite expensive (approx $7500 and up) and the digital features, available sounds, and user interface control panel are very minimal compared to most other good digital pianos in lower price ranges. Digital piano key actions can consist of or be called fully hammer weighted key movement, weighted key movement, a semi-weighted key movement, or an unweighted key movement. Another term used by manufacturers to describe piano key actions is graded key action (either semi weighted or fully weighted) which means whatever the type of key action the digital piano has, if it is graded then the weight of the keys themselves are slightly heavier on the left side and get progressively lighter as you go up to the right side keys. This is the way all acoustic piano actions are because the hammers inside the piano needs to strike different size strings (thick on the left and thinner strings on the right side) so the power of the key weight needs to be different for different keys. There are actual round weights inside the back of the wood keys of an acoustic piano (as you will notice in the picture above left), so the digital pianos try to duplicate this key weight on each key. 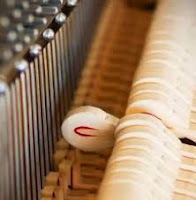 Also in acoustic pianos, the key action needs to overcome inertia and move properly when the key is played repeatedly. This requires the key action to be built and setup in the proper way and is in addition to the actual weight in the key. Are you getting confused yet?? :)...I am!:). I bet you didn't think a piano key action could be so complex?! Have you ever studied car transmissions or engines and what makes them work correctly? A piano action is a similar thing compared to what makes one transmission or engine good while another transmission & engine might not be so good. Almost all "keyboards" that have 61 keys & 76 keys (or somewhere in-between) have unweighted key actions (although a few may still be "graded)." Some of them have semi-weighted key actions, and a couple of them have fully hammer weighted (simulated acoustic piano movement) key actions. An unweighted key action is what it sounds like, there is no actual weight in the key...it is a spring loaded key movement (pic above left) which makes the key come back up very fast after you push it down and also much more difficult to press down like it would pressing down on a real spring. That's OK for keyboards because most people don't buy them to get a real piano playing experience. Also, some pro musicians are not as concerned with proper piano playing technique and they want to play other sounds such as brass, woodwinds, guitars, etc on the keyboard which can require a lighter, quicker movement which unweighted keys can do better. Unweighted keyboards generally are also significantly lighter in total weight because they are made of lightweight plastic, are typically smaller, and therefore much easier to carry. It's important to note that nearly all digital pianos and keyboards are touch sensitive in their key actions. That means when you touch the keys harder of softer you will get a different volume out of the sound depending on how hard you play the keys. This is obviously important and it is normal in pianos. Some keyboards under $100 are not touch sensitive and this is OK for a young child for a short while as they get used to playing. But it's not something you would want to use for piano lessons or practice because that child (or adult) will likely get into bad piano playing habits if they use it too long. The graded hammer weighted digital piano key actions are closest to the feel of real acoustic pianos with some being better than others. They have some weight/counter-weight designed into the key actions (to simulate real weights in acoustic pianos as I described earlier) and do not use a simple spring mechanism. These key actions generally have a much more realistic acoustic feel and will give you the best reproduction of key actions in a digital piano without having to use 100% acoustic piano parts which is otherwise very expensive. At that point the choice gets to be a bit subjective depending on your playing experience, skill level, and expectations. I would advise that a person should stay away from unweighted and semi-weighted key actions (found mostly in 61 and 76 key keyboards) if they want to learn to play the piano correctly. If you don't have the budget for (cannot afford) a portable of stand-up cabinet digital piano with piano weighted keys (they start at only $399 for a recommended portable model), then an inexpensive keyboard with spring action is certainly better than nothing, although as I just mentioned, you will likely get into bad piano playing habits if you play on it long enough which I recommend you don't do, especially when it comes to your kids. Real acoustic pianos are divided up into two basic categories...vertical & grand. The vertical pianos have different names due to their height and they consist of spinet, console, studio, & upright pianos. Depending on which one of those vertical pianos you play in the same brand, the key action may feel differently from each other. To make matters even more confusing, different brands can feel different from each other with some key actions being harder to play, easier to play, slower to respond, quicker to respond, etc. Then there are grand pianos (digital & acoustic) in several different depths from about 3' deep to over 9' deep which consists of micro grand, mini grand, baby grand, grand, concert grand, etc. Beyond that, there are brands like Kawai which use special composite material in some of their acoustic grand pianos (ABS carbon fiber material) as opposed to all organic wood parts so they can strengthen certain parts that otherwise would be wood. 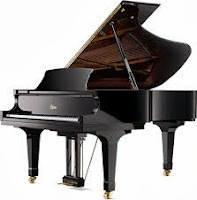 The pianos with these carbon fiber parts will (according to the manufacturer) be more consistent over time, not wear out, and not be subject to weather conditions in areas with more dryness or humidity, which can adversely affect the acoustic piano key action's ability to operate correctly. Wow...so many variations in key actions that it can make your head spin! People constantly say to me all the time "I want a digital piano that feels & responds like a real acoustic piano." When I hear that I will inevitably say to them "have you played many different acoustic pianos? Do you know what an acoustic piano should feel like?" It is rare that I speak with someone who really knows what they are talking about when it comes to piano key actions and what they should feel like when playing them and that's because unfortunately there really is no standard where all acoustic pianos feel one way. It's like saying that all vehicles should feel the same when driving them but that's just not the case. Cars, SUV's, van's, sports cars, etc, ride differently, move differently & behave differently, and that does not mean that any of them are necessarily bad or something you should stay away from. So it is with piano key actions...and that's why there is such a wide variety so that people have choices based on how they want to play and their musical goals. So how does somebody decide on what is right for them, their kids, their school, their church, their band, etc? It's obviously not an easy task and there is no "one size fits all" answer. The manufacturers try to make you believe their key actions on their brand & models are the best...but you wouldn't expect them to say anything less...would you? After all, they are in business to make money. A variety of digital piano companies say things like "our piano feels just like a grand piano," or "moves just like a grand piano," or "simulates a grand piano nearly to perfection," or "has a superior grand piano experience," or offers a "comfortable playability of a grand piano," or "you can enjoy a grand-piano experience at a fraction of the size and price," or offers a "mechanical design that closely resembles that of our grand pianos’ actions," or that "you can enjoy the playing response and expressive capability of a concert grand piano," etc, etc, etc. It's a wonder that regular acoustic grand pianos sell at all anymore given that the digital piano manufacturers claim their pianos can do just what an acoustic grand piano can do, and your enjoyment will be just as great! With that being said, they would have you believe there is no reason anymore for anyone to want a Steinway, Yamaha, Kawai, or other respected acoustic grand piano apart from looks, cabinet style, and the volume/loudness of sound since grand pianos are larger and louder. But other than cabinet, getting an even louder piano sound in a digital piano is no problem because you can connect a larger and better external speaker system to most digital pianos. So why do Yamaha & Kawai (as examples) continue to produce thousands of great acoustic pianos worldwide if their digital pianos are so great with regard to reproducing the grand piano key action movement & response along with realistic piano tone and cool functions in nice looking cabinets?! You can figure that answer out for yourself:). It's because digital pianos (depending on brand and model) can simulate the acoustic piano playing experience but in reality, not replace it. even they have their drawbacks in other ways. It is fair to say that the good digital piano manufacturers do try to produce the highest level of piano playing realism they can, given the constraints of technology and price points. But at the end of the day if they were really honest about it, the manufacturers would tell you that their pianos are certainly not identical to acoustic piano key actions. However, in most situations a person can have a very satisfying piano playing experience with many of the new digital pianos out there. Since most people play for recreational purposes for themselves, for their school, church etc, playing and listening to a good digital piano can be beautiful and exciting and can come "close enough" to the key action and sound of an acoustic upright or grand piano where the average person. including many experienced players. could not tell the difference...and isn't that what counts? It about you not being able to tell the difference and also knowing a particular digital piano is good enough to play the music you want to hear in a very enjoyable (and proper) way. I personally know of pro piano teachers and musicians who prefer playing on digital pianos because touch sensitivity velocity curves, voicing, and other key action attributes (left pics) can be easily & electronically adjusted which you cannot do on an acoustic piano (plus good digital pianos don't go out of tune). You can also change other parameters of digital piano key action response (such as how the "hammers" behave) as well as parameters of the piano sound. These kinds of changes can give you the feeling that you are playing on a real organic acoustic piano and allows you to personally "connect" with your music. Ultimately, the music you hear coming from a piano is subjective (and personal), and to prove that point, I have had people tell me they enjoy listening to and playing a piano they bought that in my experienced opinion was a really bad digital piano (a piano that I know is very sub-standard). But these people thought their piano was good. In fact, they were so certain they had a great instrument that they bragged about it and gave those digital pianos good internet reviews ...Yikes! But...it is really no surprise to me this kind of thing happens from time to time because it just depends on your point of view and what kind of music experience you have had in your life. This also means that some (but not all) of these consumer reviews you see on-line cannot be trusted because of who may be reviewing the particular piano and their actual music experience...so you gotta be careful when reading personal consumer reviews! say these things...even if these statements are not entirely (or nearly) accurate. I know of some manufacturers who knowingly make up stuff about their products just to sell them and get you to buy them. When it comes to special names piano manufacturers give their piano key actions, Roland calls one of their digital piano key actions "progressive hammer action," Kawai calls one of theirs "Grand Feel," Yamaha calls one of their digital piano key actions "Graded Hammer 3," and Casio calls one of their key actions "Tri-sensor Scaled Hammer Action Keyboard II (that's a mouthful!)." There is no shortage of key action names but they are only names, and names are irrelevant and mean nothing if the key action is not good! Some of the brands have come out with a synthetic ivory & ebony material that is supposed to duplicate the feel & texture of older acoustic pianos that used real ivory & ebony on their keytops during the days when that was allowed. Many years ago various world governments set up laws forbidding the use of ivory on pianos to save elephants where the ivory was coming from. If you have ever played an older upright or grand piano with real ivory keys on the keytops, an elephant gave their life (or tusks) for you to have that! Real Ivory on piano keys is a sweat absorbing material and also can help with finger movement smoothness. But...the real organic ivory also had a tendency over time to dry out, crack, break off, and to have yellowish discoloration. The newer synthetic ivory keytop material used on some of the digital piano models has a non-stick, non slippery feeling to them and can make it more enjoyable to play. They will (as far as we know) not have the dryness or discoloration problems of organic ivory, but durability of this new synthetic material has not been proven yet over time so no one really knows. In fact, on one of the major brands, the synthetic ivory they first came out with had a few negative issues which I think have been resolved at this point. But the overall synthetic material "feeling" is subjective and not necessarily something you need to have, especially considering most current model name brand acoustic pianos do not have ivory keys... they have the regular white plastic keytops. 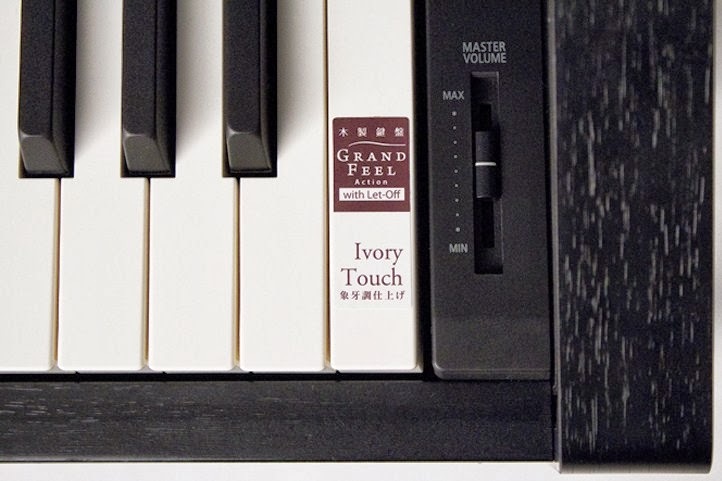 So if regular shiny white key tops are good enough for some of the best grand pianos out there, do you really need this new synthetic ivory material? 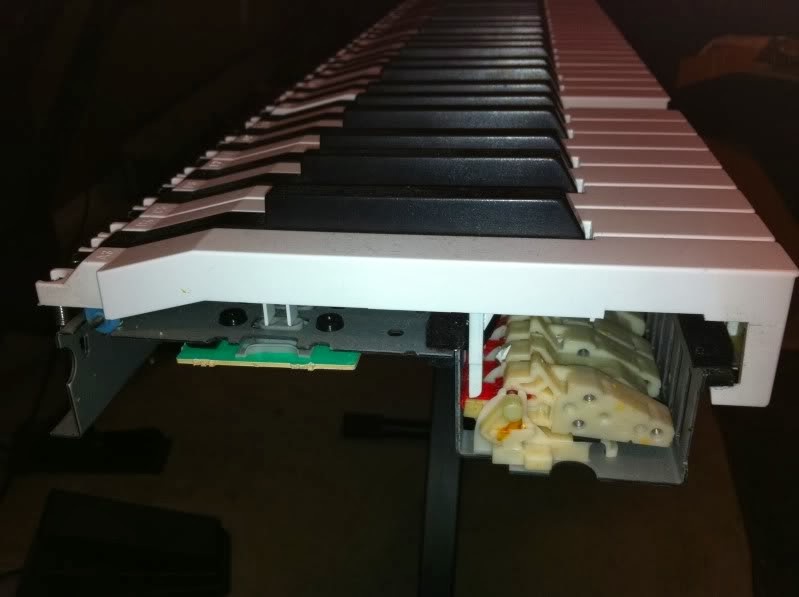 That question is fairly subjective and therefore ivory feel keys may or may not be important to you. 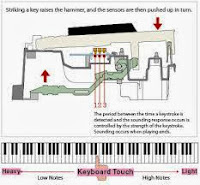 When it comes to the design, construction, and installation of digital piano key actions, some of the key actions out there are done by the actual manufacturer such as Roland, Kawai, Yamaha, & Casio whereas other key actions are made by someone else for them (such as Fatar key action company in Italy). In some cases "off-brand" digital piano actions do not even meet the most key action basic standards (typically designed and made in China, but not always) so I tell people to stay away from them. A good key action moves smoothly and helps the piano sound to come out incrementally with minimum key force but with enough downward key weight and upward key weight & resistance to build good finger muscle strength. A good key action must have proper "hammer style" graded key weighting, proper key travel depth, key pivot point, proper key width & length, static & dynamic downward & upward touch-weight, and good solid key movement with minimal noise levels. 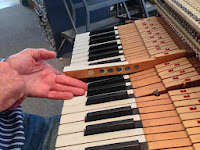 Unlike almost digital piano key actions, acoustic piano key actions need to be adjusted from time to time by an experienced piano technician, just like the alignment on your vehicle has to be calibrated and aligned by an experienced auto mechanic. Digital pianos (without acoustic piano key actions) have a big advantage over acoustic pianos with needing no key action maintenance, which is obviously a money and time saver if you plan to own the piano for many years. Wear & tear and long periods of time can also change the characteristics of key action feel, movement, and response, for digital as well as acoustic pianos. Action changes over time can also occur due to internal lubrication (or lack of it) of action parts, and outside high humidity (as well as dryness) in the air at different times of the year can affect acoustic piano key actions as well as some digital piano key actions. The list of differences in the way key actions behave due to inside & outside conditions plays a part in the overall playing experience a person will have with a piano. Due to the numerous variations of piano key actions in acoustic pianos & digital pianos, I have known some very picky people who have shopped acoustic & digital pianos for months and even years until they finally found their perfect key action that was adjusted and regulated (for acoustic) and it played in a way that was perfect for that particular shopper. Some of that pickyness is usually due to a person's finger muscle strength, type of songs they play, personal expectations, piano playing experience, and playing skill level. So, will it be like that for the average digital piano shopper in needing to spend months or years shopping for a digital piano with a good key action?...definitely not! :) As an example, the Casio digital piano company, which only offers two key actions, does a good enough job in my opinion for a majority of digital piano buyers and players who want to be in the "under $1000 price range." Kawai has some very enjoyable key actions in furniture cabinet digital pianos for over $1000 as does Yamaha, Roland, and others, as I mentioned earlier. Are all models and their key actions in those brands (and other brands) all good?...not necessarily. A few key actions in those brands have noticeable deficiencies which in my opinion may get in the way of your playing success and enjoyment, and that would not be good. This is because there are some key actions that have bad volume/velocity response, noticeably unrealistic key movement, loud mechanical noisy movement, and/or other deficiencies. *Take a look at this video below and it will explain the differences between a real upright acoustic piano key action vs a real grand piano acoustic key action. This is important because some of these differences also apply to digital piano key actions. Contact me if you want to know more. I am so impressed that your article is so clear to let me learning about the keys of digital piano. Thank you. Do you know if the Kawai CA600 with the hammer weighted? I know it's a old generation digital piano, and we cannot find the related information. Thank you for your article. Would you be willing to give me some advice? I have stayed completely away from any digital pianos my whole life, being captivated by acoustic pianos solely since the beginning. Recently though, it has become clear to me that having my own digital to bring to gigs that have no piano or an unsatisfactory digital is essential for me now. Could you help me, I am feeling quite lost in the digital world of pianos, but I know what I am looking for in one: 88 Keys, as weighted as possible, only interested in it having a beautiful piano sound, no other sounds needed or wanted, I would just like the most beautiful, full, grand piano sound available for professional use, and easy portability. Any ideas where I could go to find it? Any direction would be greatly appreciated. Thank you. I'll weigh in. For me, the Roland FP-7, which is now an older model, played through really good quality studio monitors or otherwise accurate speakers, is about the best I've played and heard. The action feels really good. The onboard speakers are a bit anemic. I'm looking at purchasing a digital piano and am a bit undecided between the Yamaha CLP 430 and the Roland FP-50 or maybe the FP-80. I'm not concerned with the speaker output as I'll either be using high quailty head phones or external powered speakers. I'm just concerned with the touch. I previously played on a Yamaha Upright Acoustic (Not sure which model). Hello I am wondered about Kawai Grand Feel stage piano MP11. It is the only stage piano with "Grand Feel" keyboard. Would you recommend this one? You have an intersting article. My options are: Kawai CN2 / Korg LP-350 / Roland RP201. Which do you think is the best. None of them. They are all deficient in a number of ways and completely different pianos and you obviously know they are older discontinued models. As for key action the Korg would probably be most realistic to me but the piano sound of it was just OK. There are much better option in the newer pianos these days and they do not necessarily cost that much. Thanks for the valuable information you share. I am thinking to buy a Casio PX750 for my 5year old daughter. She is having piano lessons for couple of months and her teacher advising to have a piano to progress faster. In your "DIGITAL PIANO REVIEWS for 2014: Pianos UNDER $1000" you mentioned as "Casio overall offers a noticeably better piano playing key action experience". I will be glad to receive your opinions for Casio PX-750. Thanks Tim for your excellent article. I am thinking to buy a digital piano. I am choosing between CLP 535 or CLP 545. The big different between both is the action keys, the 535 keys are made in plastic and de 545 in wood, what is your opinion about. Those specific models have not come out in the US yet but when they do I will be reviewing them. From what I can see the key actions are still GH3 but with the escapement feature like Roland & Kawai have. I am assuming that otherwise the key action is the same as the previous GH3 without escapement. If this is so then the wood key would be the primary difference in the 545 vs the 535. Since the 545 wood key itself is not installed as a regular acoustic wood piano key is, then I see little advantage in the Yamaha wood key as opposed to the Kawai CA65 wood key which is a full length wood key installed individually over a steel pin like real pianos. As for the Roland all plastic key actions on their new HP pianos, they are very realistic in my opinion, especially the Concert Keyboard model, even though they are not made of wood. I like the Roland weight, movement, and feel very much. I think you can be happy on any of these pianos but I have personally found that both Kawai & Roland key actions move more naturally than Yamaha's I have played. What are the top five digital pianos on touch/feel? I have played on the Casio Privia line and the Yamaha line of digital pianos and feel like the Yamaha line is a bit too light. I am not familiar with any of the newer models in either lines other than a mere touch at the music store of the latest Yamaha digital pianos. I cannot afford a decent grand piano and I perform on a very heavy/stiff grand (haven't met any piano that required more effort!). I find that a transition from my digital piano to this grand piano to require superhuman effort. Instead of enjoyment, I feel frustration at the end of the performance! Is there any digital piano that I can upgrade to that may make the transition to the grand smoother? I have no idea why they like such an awful touch for the grand piano, but there's nothing I can do about it other than try to figure out a way to practice on something better! Please help! I am in love with the resonance of a grand. If only they could make a digital piano that feels and sounds like one! One day... Yeah, I know. My piano tastes have always been too refined for my budget. Why can't I have normal ears or be of more money?! You ask for the impossible. Since most grand piano models and brands play differently from each other, there is no standard piano touch. Also, some acoustic grands have action regulations that can cause issues one way or the other in the touch response and downward touchweight. You have a very specific situation and there is no easy solution. You would need to play every digital piano in your price range and then determine if any of them would suffice for your needs. Apart from that, I could not give you any objective answer including a "top 5" list of key actions, since that is also subjective. There are key actions I like and that I don't like but they are not in any specific order. Also, piano pedals and they way they operate are important and there are notable differences in that area too. It is possible that your stiff grand piano action can be modified and adjusted by a capable piano technician, which in my opinion would be the best solution to the transition issue from a quality digital piano to the acoustic grand. So I'm a little confused on one thing and would appreciate your help. In this article, you mention that key action is very important, and then go on to say that for key action, you essentially can get a piano with semi-weighted keys, fully weighted keys, or not weighted at all. You then go on to show us how the different manufacturers have different "marketing names" for their key action: Casio has Tri-sensor Scaled Hammer Action Keyboard II, Roland has "progressive hammer action," Yamaha has "Graded Hammer 3." But my question is there--how do you cut through the marketing spin? In other words, how do you tell (especially if you're thinking about buying online) that a Casio piano with a Tri-sensor Scaled Hammer Action Keyboard II key action is semi-weighted or fully weighted? How do I know if a Yamaha digital piano that boasts "Graded Hammer 3" action is semi-weighted or fully weighted? What about the other brands and their "marketing names?" And what if the piano doesn't have a "marketing name" for its key action--does that mean it's not weighted whatsoever? And then lastly, regarding touch sensitivity like you mentioned before--is this just essentially a "yes" or "no" situation when it comes to digital pianos? In other words, unlike key action which can be fully, semi or not weighted at all, does a piano either have touch sensitivity or not have it--like, is there a "tier" level of touch sensitivity? And do brands have "marketing spin" for touch sensitivity, as well? Wow, good questions, Brian. All of the major digital piano brands have hammer weighted keyboards on their 88 key models. Some are more noticeably authentic than others and it would take much experience to know and understand the differences. That's why I write reviews, to help people understand specific models. With regard to touch sensitivity, all new digital pianos are touch sensitive going from soft to loud sound when playing the keys at different velocities. However, due to the quantity or lack thereof of the key electronics including sensors and recorded piano sampling among other things, the touch sensitivity can vary in different brands and models from toy-like to very natural. There are big differences in the smoothness and natural response in sensitivity from the keys, just as the ride is better in a Mercedes or luxury auto as compared to a bumpy and less smooth ride in a cheap auto. You generally get what you pay for. You simply cannot be picky with a budget of $500. With that in mind, the PX150 at that price has the most realistic piano key action there is. Which would you recommend - Roland FP-50 or Yanaha P255? Assuming you absolutely need to have a portable digital piano with built-in speakers, for key action the Yamaha P255 would be noticeably better than the Roland FP50, in my opinion. If you do not need a portable digital piano, then there are other good options. Did you have a chance to try Kurzweil new MP-10 with Fatar keyboard? Could you compare it with Kawai KDP90? Yes, I have played the MP10 with the Fatar action and for some strange reason, although the key action moves better, it is unusually stiff to push down (especially on the black keys) as compared to the previous action. It is an improvement overall but unfortunately the piano is still lacking in polyphony upgrade, piano sound upgrade and pedaling upgrade to include half pedaling. The MP10 needs to have new technology to be a real competitor of the other pianos. The Kawai KDP90, Roland RP401R, and Yamaha YDP162 would be much better choices. If you want more details on those other choices and prices that you should be paying for them, please contact me by email. this is very helpful article. I am looking to purchase one digital piano for my 3 and 5 year old children to start. My budget is around 1000-1200$. Looking at the Kawai KDP 90 or Yamaha YDP142R..which will be better for my children? My concern is something not too stiff, and as natural as possible in case they progress to Acoustic later in their life. I've just started playing piano for half year, was using a 88 semi weighted keyboard before, I then sold it and looking for a fully weighted alternative. 1. Would you suggest buying a new digital piano for pricing around 770 USD or a used digital piano (5 years+) for around 380 USD? In which they have similar to same specs, feels, everything. I don't have enough current money to purchase a digital piano price above 774 USD, BUT I could use VISA and make it twelve months, if thats necessary. I'm considering it because of the GH key action it have at this price range that I could afford. 2.Is it cost efficient to use a fully functional used digital piano? in terms of durability? Or would you suggest to buy a new digital piano no matter what because they normally last for 10 years tops? OR, would you even suggest that in my case, I should buy a budgeted used digital piano just with fullly weighted, then buy a new and expected one while i could afford? *sound's ok is fine to me, i could connect it to computer to do the trick. I know it's kind of long. I know it's more than two question actually, i apologize. But I would love to hear your advice Tim! Thank you in advance! A top name brand good used later model digital piano is fine as long as you are confident it works and all is good. I would recommend the Yamaha P140 as an acceptable used piano based on the price you mentioned. It is fine for beginners through intermediate. The YDP140 and P105 have the same GHS key action, which I don't recommend as much as the others. I hope this info helps you. I'm decided to buy that P-140. Hi Tim - My Roland FP-8 is on its last legs - I love the sound, especially through my Roland amp, but always thought the action was a little stiff. For under 3000.00 what would you recommend for a portable piano for playing gigs with a small band? I'm looking at YDP-162 and CE220 for my 10 yrs old daughter. What would you recommend between two? Although both key actions would be good, I much prefer the Kawai CE220 because it has full length wood keys with counter balance weights for a much more authentic key action movement and response. There really is no comparison between these two piano in that way. Also, the Kawai CE220 has larger 192-note polyphony processing power and individual note piano sound sampling which allows for more authentic piano sound reproduction as compared to the Yamaha YDP162. If you want more info on these and other pianos as well as info on lower buying prices in the US (lower prices than internet , Amazon, etc), please email me directly. How would you grade the Grand Feel Wooden-Key Action feel that Kawai offers on the CA65 digital piano? Could you please help me with an opinion on this as I am considering buying this for my girlfriend that has about 6 years practice on an acoustic piano? Is there a similary priced model on the market that you would recommend instead of the CA65? Great article. I was taken with the Yamaha P35 but wondered what else you c like as well it better in that price range. I have owned and played some excellent acoustic grand and also owned and played several digitals. Like features but love a good action and sound. Thank you. Could I ask you what you think of the Kawai VPC keyboard with its RM3 Grand II action? Is there an interesting alternative I should be looking at up to and including the same price point? The only thing I am interested in is the keyboard - no sounds required. I have been playing acoustic pianos for more than 40 years from steinway, yamaha, kawai, etc. And looking for my first digital one as close as possible to acoustic. And as most of these are stage pianos without built-in speakers, do you have any suggestion or thought I might be looking at? Any reason you are silent on the questions about the Kawai "Grand Feel" action? I'd like to know too. I would like to thank you for the article about key actions that I enjoyed reading it. what do u think about yamaha p105 or casio px 350. I want to buy a digital piano, therefore, I wonder what the piano you think is best for me. I will use "Soft Mozart" software with the piano. The piano has to be general midi compatible, includes a sound system and needs to have 88 keys. It’s a plus if the piano have touch-sensitive piano keys too. I found one piano that was general midi compatible and it was AP-650. But it must be other piano that has general midi? So can you help me to choose a digital piano? How well does Casio ap650 compare with Yamaha ydp 162. Which one has better action, feel sound etc. Ghana for your article. Please help me on this. How well does ap 650 compare with Yamaha ydp 162. Is there even a comparison? Can casios be compared to the yamahas? I am a piano beginner player, I have practiced on an upright acoustic grand a while ago and am looking for anything that best simulates it esp in terms of sound and weight under $1000 for home use. All I know about digital pianos is based on reviews and videos, I had chosen to select anything from Casio PX 150 to PX 850 until I came across a Kawai ES100 review. How does a Casio PX850 compare with a Kawai ES100 for my needs? May I know which digital piano is better for a beginner? Thanks! I enjoyed your article very much. After happily playing on a nice old Swiss upright and an early Clavinova (CLP-300, perhaps) for years, I decided to get something new and bought an Arius YDP over the Internet without trying it beforehand. Thinking, digital pianos must gotten even better since 1985, right? When I had the Arius up, the disappointment was enormous. Sound was great, etc. The keyboard felt fine at first, maybe a bit heavy. After a few weeks, I couldn't play anymore because of the pain in my fingers. After googling a while, I discovered the terms "downweight" and "touchweight" and did measurements with stacks of coins. Result: about 50g at the top, 70g in the middle, 90g at the bottom. My upright has 50g pretty well across the whole keyboard. All reviews for the CLP were enthusiastic, so was I the only one with the problem? In any case, I opened the piano and took out the keyboard, which looks like your picture of the CP1 keyboard. Then I sawed off all the U-shaped metal pieces to the same length as the highest key. After I had everything assembled again, the piano felt pretty good and it still does. People should be aware of the touchweight issue when they go shopping for a digital piano. 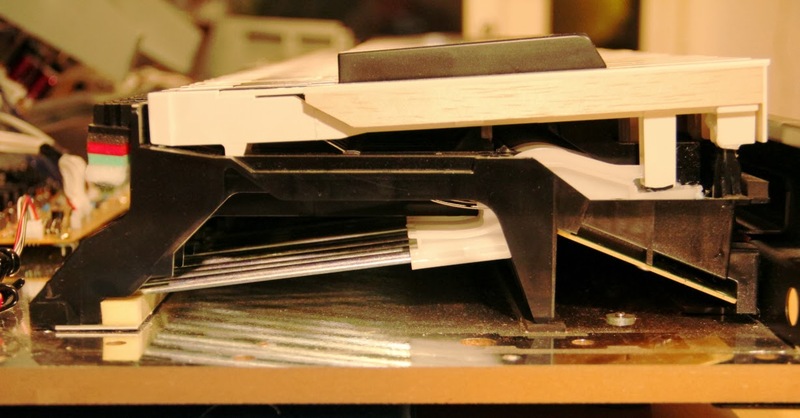 For one thing, Yamaha had this idea of a "graded keyboard" and they laid it on much to thick. Second, touchweight generally seems to be heavier in the USA then here in Europe. Finally, some people/manufacturers seem to consider pianos as body-building equipment, the heavier the better. Personally, I think weight graduation is a gimmick and irrelevant compared to the other differences between acoustic/digital keyboards which you mention. Bottom line: if I had read your artice before buying my second digital piano, it would have saved me a lot of effort! I was checking Yamaha P-105 and Korg SP-170S, now I'm lost. wow, I'm so impressed with your generous responses. Here's my problem. I play a p200, and find the action sluggish, slow repeats, despite all the ravings online about how great the action is. I like the *weight* of my p200 action, just ot the sluggish repeats. I want to replace it. There's a used p140 for $600 (Canada...prices are higher here) I just can't get any info on how the p140 action compares to good digital piano actions. Does it compare to a p255? Will it be faster than my sluggish p200? I'm happy with the *sound* of my p200, and I wouldn't want a lower quality grand piano sound. Thanks. The P140 and P255 use the same key action (Yamaha GH). I prefer either the new Roland PHAIV Standard key action, the Kawai RH2 key action for more accurate and realistic key action and piano sound dynamics along with a quicker key movement than the Yamaha GH. thank you very much. I will look for those. which is the one you prefer? Inquiring minds would like to know! The key actions currently being made by Roland are PHAIV, ivory feel S, ivory feel G. I have made it clear in my reviews that I like all of the new PHAIV key actions which include Standard, Premium, and Concert and they are significantly upgraded over the others. I'm trying to find a graded hammer weighted digital piano for a beginner (price range 1000-1500€. I've tried some of them in the music shop and my question is whether Roland F-130 R has the same "Ivory Feel-G" key tops like Roland F-20 because I really don't like it. I'm trying to choose between Roland F-130 and Yamaha P-255 or Yamaha CLP525. The most important thing for me is to choose the best key action piano, sounds are not so important. I am looking for a digital piano for my 5-years old daughter. She has piano lessons for two months. We live in Germany. Would you give me some advice to buy a suitable digital piano with a budget up to 800 EUR? I have read your article very often, I want to buy a digital piano but in my experience I am interested with Korg LP series which the sound and keys are more realistic and purely brilliant close to Acoustic Grand Piano, but I confused between LP 180 and LP 380, LP 180 has realistic and clearly grand piano sound with Natural Wood Keys, but LP 380 has dual layer sound which is can play Grand Piano with Strings and etc with RH3 keys, do you think what should I choose? thank you Tim God bless. thank you for excellent overview of the various key actions, very helpful. Hi Tim, great article. How do you compare the two entry level models kawai es100 and yamaha p115, in terms of keyboard ( aha IVf and GHS respectively) and sound? What about the durability of the mechanisms? I cant spend too much money, but i would like to buy the best in that price range. Your opinion will be very helpful! Can you compare the kawai aha IVf and the yamaha GHS mechanisms, in terms of durability and performance? I want to buy a DP, and I can't spend too much. In my budget are the kawai es100 or the yamaha p115. Which would you recommend me? I am ready to buy a digital piano to resume playing after a long interruption (10 years). My top priority is the touch response of the keys (I grew up practicing on a keyboard which did not have this feature and it was awful). After reading your reviews, I narrowed down my choices to either the Yamaha P115, or the Casio PX160. Both are prices at $500 right now (Yamaha has a promotion). Which one would you recommend? Many thanks in advance! Hi Tim, could you please tell me whether I should go for a Kawai KDP 80 or Yamaha YDP 161? I'm an intermediate level player and would like to finally buy a lasting piano. Your suggestions would make things easier, thanks!! Korg RH3 action is great but harder to find these days for some reason unless you pay $$$. Maybe most Korg buyers don't care so much about action so has become a luxury. Hi Tim, could you please suggest what to choose from Kawai KDP90, Roland F140R and Roland RP401R, considering only the key action parameter? Is Roland HP504 much better in key action than the above 3 models, to worth the extra money? Thanks for your help and your will to share with us your valuable knowledge and experience!!! Great article, as always. I really need your advice now as I'll purchase a digital piano soon. My budget is tight and for other reasons so here come my last choices: Casio CDP-120 or Yamaha P35. They're in the same price range and affordable. Unfortunately in my region they only have new, unbox pianos; I can't test either of them before buying. So with your experience, which one is better, in term of key actions (I understand it's not possible to have a digital piano with key action as good as an acoustic one; just as close as possible). I also concern about the durability, I prefer a long lasting piano without small issues. Hope this is not too much. Your kindness is a bless. My doubt is very simple. I will start playing piano after buying one. All.. of course , second hand. Hi, I want to purchase a piano with budget around $2500. I am confused with Yamaha and Kawai model. Can somebody tell me which one is good and which has let off keys? Also is let off keys really required? Great article and kudos on the comments section - it's even more informative than the article itself. Glad to see that Roland produced a better mechanism with the PHA-4. Their newest pianos (HP-603, HP-605) contain a new mechanism, the PHA-50. Did you get a chance to try this one out yet and what is your opinion? Yes. Take a look at look at my review of the new Roland models incl HP603, HP605, LX7, LX17. I discuss the new key action in detail. 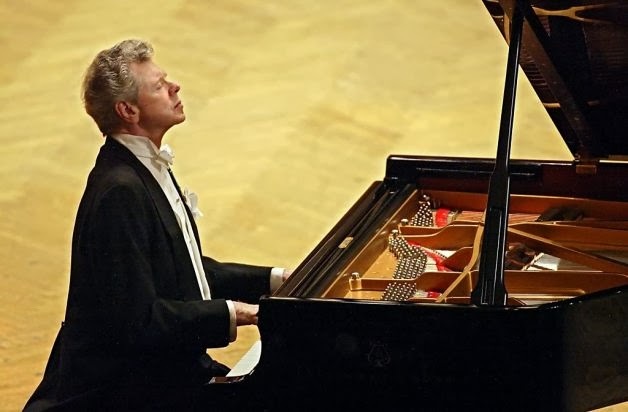 If you are in the US then you may also email me and I can tell you about lower prices than you can find anywhere else on these new pianos and where to get them. I want to buy a piano for my 9 years old child, she is a beginner. I have two options, a used Roland RP-101 for around A$600 and new Yamaha RDP-162 for A$1500. Can you please let me know which one you recommend? Thanks for this article Mr Praskins. We are looking to buy a digital piano for my girlfriend after a year of renting an acoustic stenway and sons essex. She doesn't play very complex music, but would like something that wouldn't get in the way of inproving when she get's back on an acoustic piano. Our budget is limited, we are looking for second hand mainly. I am wondering about choosing old discontinued piano like the Kaway CN290 which are cheaper now, but maybe since that time so much progress was made that it would be better to buy a recent model. You wouldn't recommend the YAMAHA ARIUS YDP-142 R if I read correctly? There are many good new digital pianos available now in low price ranges. Used digital pianos are always a risk to buy because there is no warranty and you would need to be certain the piano works and will continue to work because repairs can be expensive should they be needed and sometimes parts on older digital pianos are difficult or impossible to get. I personally enjoy playing the new lower priced Casio PX860, Kawai KDP90, and Roland F140R digital pianos. Please read my reviews of those models and if you have further questions and/or want to know about even lower prices on these and other other new pianos, please email me directly. Hi Tim, I'm a classical pianista and I'm facing a difficult choice. Currently I own a Yamaha P140 and an old Chickering baby grand, wich I love and bought with great effort, but I know that I should at some point upgrade to a new baby grand. I'm currently looking for a new home for my family and it's being hard to find a place where I could fit both pianos. I'm thinking in selling both pianos and buying the best digital I can get with the money. It feels like a crime to me, but could be a solution for my situation. Dear Tim, great article, just as your other reviews by the way. Very very informative. What would you like most: the Kawai GF2 or the Roland PHA-50 ? Thank you for your thorough review. I am an intermediate classical piano player. I played for more than 10 years, but haven't played for around 10 year also. I am looking for digital piano to replace my old deteriorating upright acoustic piano. I would like to ask if you would recommend to buy Roland HP203. The new one is available in my country (Thailand) at discounted price of $1285. It was originally $2430. I know it is an old model, but I like the feel and the sound. The only thing I am worried is if the keys produce loud thunking/thumping sound when played like the you mentioned for HP302. Please suggest. Key action is for her the firt and only argument to be able to practice every day in quite good condition. She spent 8 year in conservatory and use to play at home with a wonderfull Schimmel 121, but far to heavy and not compatible with silent playing in a student room ! Can you advise, independently of price for a selection of portable piano she can enjoy and keep for a long time as second piano. Electronic piano and other effects really not mandatory. Only the key action and a good gran piano sound. what about studiologic piano and kurzweil. are they competetive let's say with yamaha or kawai? HI Time- I have played the RD-2000 at a local music store but they don't have the FP-90 to try. From a feature point of view the FP-90 seems more what I need for jazz solo and combo work, but my top priority is action and sound. Do the two pianos use the same actions and sounds? This is what I am gathering from reading online.